Winter weather got your child feeling down? 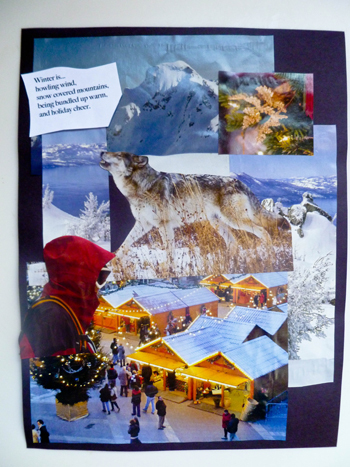 Your fourth grader can turn that frown into some winter fun by creating a colorful winter weather collage. Before you take those magazines to be recycled reuse them for this cool art project! She can hone her cutting skills by creating a montage of winter images to create finished artwork sharing what she loves, or doesn't, about the winter season! Invite your child to write a short paragraph or poem about what winter means to her, or what she thinks about when the days get cooler. Encourage her to use lots of descriptive words to create a feeling or emotion for her winter writing. Now, offer her some magazines to look through for finding winter scenes. When she finds an image she likes, she can tear out the page to use for later. Once she has a stack of pictures to work from she can begin cutting out images from the magazine pages. Encourage her to cut as close to the outside edge of the object as possible encouraging her hand-eye coordination! While she's working, play some seasonal themed classical music, such as "The Four Seasons" by Vivaldi. Listening to music while creating encourages the brain to concentrate! A collage is a collection of images arranged in a free form or organized manor. Before gluing her cut images onto a sheet of 9 by 12-inch construction paper she can experiment with placement until she's satisfied. When she's ready, she can glue the winter images on her paper to finish the winter weather collage! 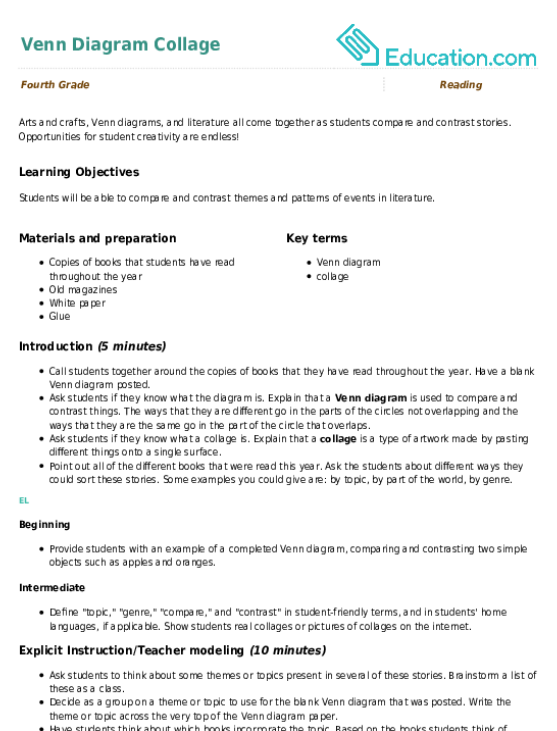 Remember to help her print out her poem or paragraph to include in the finished creation! This is a great activity to create some winter season decoration—she can tape it up to be seen or make it part of a scrapbook. This printable collage template is a great way for for your child -- and you -- to reflect on how much she's grown. Put a wonderful winter spin on math practice with a festive Sudoku puzzle! 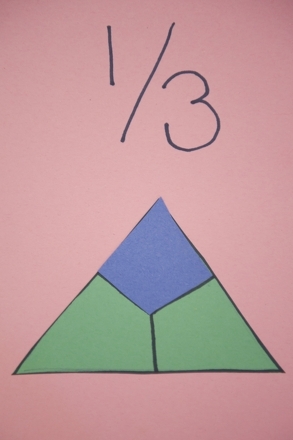 This colorful collage is sure to show him the brighter side of fractions. Kids will think of wacky ways to describe some cold winter scenarios. 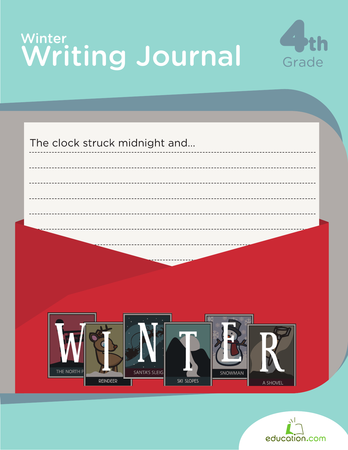 Play with story cards, write out winter goals and go on writing adventures in winter scenarios. Use your imagination to elaborate on this wacky winter scene! These multi-step winter word problems give kids a way to flex the math muscles they've been building throughout each year of school!